Definitelys: 12, nine maybes and ten definitely nots. The brilliant March sunshine bathed St James’ Park on Saturday but it isn’t just the seasons changing at Newcastle United. The sub-plot to the final strait of this curious Premier League season is that a revolution is afoot; a re-imagining of a squad that requires fresh impetus despite a mostly creditable campaign. It began on Tuesday, in a London hotel with plans – finally – drawn up for the most substantial black-and-white reboot for three years. Given the need for a refresh, it is inevitable that some big names might be pushed out of the door. The squad is dividing into definitelys, maybes and definitely nots. The sense of the sands shifting was only heightened by the presence of Mike Ashley at the stadium for the first time since September. Having been counselled by his manager on what needs to change in midweek, the club’s absentee landlord perhaps wanted to see for himself whether one or two of the bluechip performers placed in the ‘maybes’ category might yet have a future. At a rough guess, there are 12 that Newcastle would certainly like to keep. 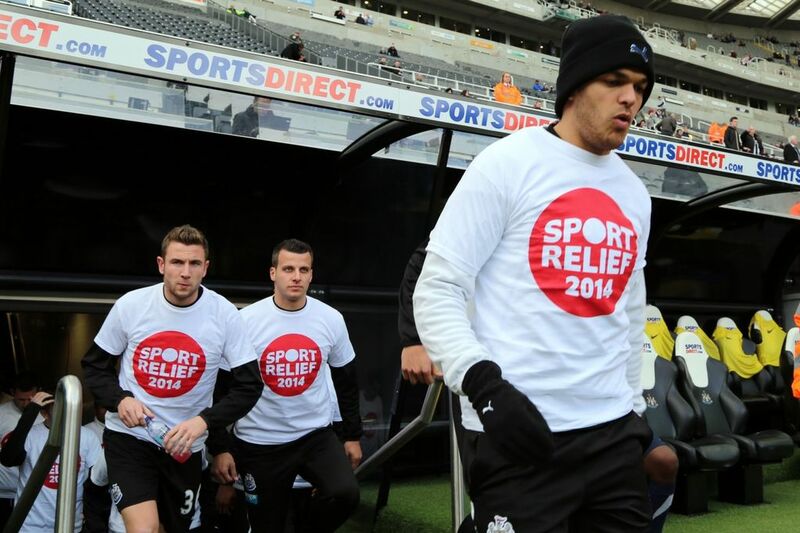 Ten, including Steven Taylor, Shola Ameobi and Sylvain Marveaux, look likely to go. But the real intrigue is in the definitely maybes – a couple of whom have seen their reputation chipped away little by little over the last eight months. Eight definitelys started on Saturday: Tim Krul, Fabricio Coloccini, Vurnon Anita, Mike Williamson, Moussa Sissoko, Paul Dummett, Cheick Tiote and Yoan Gouffran. But it was three maybes who deserved special attention – along with the one who hopped off the bench to change the direction of a match ambling towards another unsatisfactory conclusion. For Mapou Yanga-Mbiwa, it was a blameless afternoon in an unfamiliar right-back slot. Notwithstanding his tireless industry Luuk de Jong, in truth, was on the periphery. But for Papiss Cisse and Hatem Ben Arfa, it was a day to push them closer to inclusion among the black and white indispensables. For all the time and energy spent discussing Ben Arfa there is one thing beyond doubt: he is the one player in the Newcastle squad with the gifts to transform them on ordinary afternoons like Saturday. Look at United’s midfield on Saturday: Anita is Newcastle’s metronome: a master of precision who will cherish the ball and rarely play a bad pass. Tiote is a maturing midfield anchor: a whirling dervish of destructive energy. Sissoko was profligate on Saturday but deserved credit for attempting enterprise. They are good players but there is a creativity deficit there. Every single Newcastle fan in the near-52,000 crowd at St James’ Park knew where the game was going on Saturday until Ben Arfa entered the fray, and that – surely – is the greatest asset that he brings to a team that has become functional since Yohan Cabaye left. It is also the reason why Newcastle must keep him this summer. There are dark suggestions that it is his team-mates who lack trust in him but there is not one of them capable of doing the things he can. If they cannot unpick the lock like he can, they must be told to find a place for him. Like Pardew, John Carver is one of those who has grown frustrated at Ben Arfa in the months since he signed. It is hard not to feel sympathy for those who work with him day in and day out, who probably witness a player of extraordinary talent occasionally failing to maximise it. But on days like Saturday, they can be match winners. “He is a maverick type player,” United’s assistant boss admitted of a player who has been coping with the illness of his mother recently. “I cast my mind back to when Chris Waddle played. You would think looking at him, sometimes he was up for it, sometimes he was not. (You would think) was he in the mood? “Hatem is like that. He is a flair player. But you do get a sense that you know where he is before the game has started. In the dressing room, you know if he is focussed or not and today I thought he was really focussed. Before the game, he was concentrating on what he had to do. Ben Arfa wasn’t alone in furthering his claims. Cisse has started to look like the number nine of old recently: sharper, livelier and more confident. He spurned three very presentable chances on Saturday and it looked like his contribution would be defined by the awful last-minute miss after Tiote’s shot had cannoned off the bar that had St James’ Park groaning. Stooping low to nod in Ben Arfa’s injury time cross, he finally got his goal. For that, the coaching staff deserve substantial credit. Carver struck precisely the right note after Cisse’s Craven Cottage frustration last week, encouraging the player to retain faith in himself. In the 93rd minute Newcastle celebrated with him. It had not been a classic before then. Yannick Bolasie clipped the bar for a Crystal Palace team that came to contain and protect a point. Cameron Jerome had chances while Cisse saw Julian Speroni deny him twice. In the end though, it was Newcastle’s day. Despite the change on the horizon, Cisse and Ben Arfa might yet have a few more in black and white. Ben Arfa placed on notice by Pardew - but why would any team in need of creativity want to leave him out?